Credit cards are a modern convenience. And, increasingly, they’re a necessity. The growing list of businesses that accept only credit cards – and not cash — includes hotels, airlines, resorts, rental car companies and even some restaurants and merchants. But credit cards are more than just a transactional tool. Here’s what you should know about them. Credit cards are a payment method, yes, but they’re also a loan. More specifically, they’re a revolving line of credit. Every time you swipe, you’re using part of a pre-approved credit limit. Once you pay those transactions back, you’ll get the credit back, but you’re not required to cover all the charges each month. Instead, you’re expected to make at least a minimum payment (usually between 1% to 3% of the total outstanding balance) by each month’s statement due date. If you choose to carry a balance, you’ll pay interest — known here as your annual percentage rate, or APR. How Do Credit Card APRs Work? Well, it’s a bit complicated, to tell you the truth, but here’s the general idea. APRs are meant to give you an idea of how much revolving a balance on your credit card will cost you each year. But when it comes time to actually calculate interest, your issuer will use a daily periodic rate. The formula for the daily periodic rate (DPR) is your purchase APR divided by 365. That number gets multiplied by your average daily account balance and the number of days in your billing cycle. Your average daily account balance is most often a month’s daily balance divided by the number of days in that month. You can go here for a full explanation of credit card APRs. Why Are Credit Cards Important? Convenience isn’t the only reason credit cards are crucial. They’re the quickest and most-efficient way to build credit history. Using a card carefully and paying your bill on time without fail builds your credit score, which is increasingly necessary to rent an apartment, buy a home or purchase a car. Strong credit earns you lower rates on home loans, car loans and auto insurance. Employers check job applicants’ credit history, as do utilities and mobile phone companies. Credit cards are usually affiliated with one of four major payment issuers: Mastercard, Visa, Discover and American Express. Mastercard and Visa don’t issue cards, however; instead individual lenders (usually banks) do. That means that even if you can’t get one of these cards through one card issuer, another one may approve you. In other words, it pays to shop around for the right credit card. Reward cards let you earn points you can use to claim benefits. Purchases you make with the card help you build rewards which vary, depending on the card, from donations to causes of your choice, to cash back or points toward merchandise or discounts with airlines, hotels and resorts. Your good credit earns you a much better selection, lower rates and low or no annual fees. With poor credit or no credit, your choices will include cards with higher interest rates, more fees and penalties. Learn your credit score. 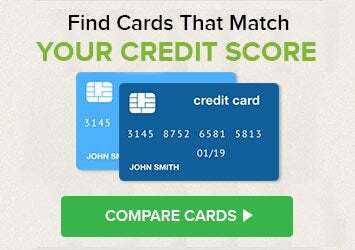 Use Credit.com’s free credit report snapshot to get two free credit scores. View offers. Credit.com’s credit card search tool lets you filter offers by credit score. Filter your search at the top of the page. When card shopping, carefully compare the fine print for each card, including APRs, fees, maintenance costs, penalties, grace periods and other rules. This article has been updated. It originally ran on November 14, 2013. Wow, you need to use credit cards to keep your credit score up! And you need to keep your credit score up so that you can borrow more money! So credit cards are just a teaser. Key: Don’t spend money that you don’t have, and don’t borrow money that you cannot pay back.